A colleague asked me for a suggestion on the program module he is doing that involves determining if one value is “>” greater than, “=” equal or “<” less than another value. I first thought of a solution involving a stack but its too low level and involves much longer code. 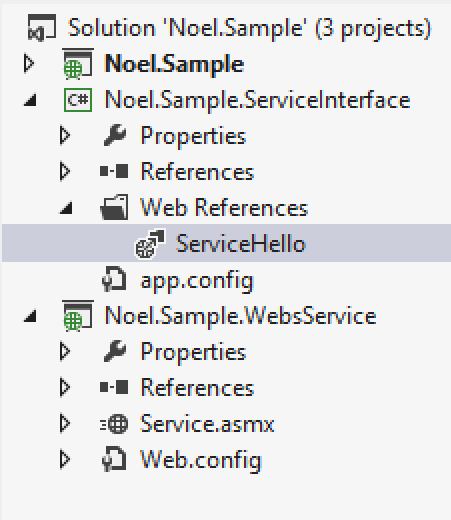 After some suggestions and trying to think of another way, he came across of a solution to use CompareTo C# method. What is CompareTo C# Method? The CompareTo method is available on all objects as long as the objects has the same type. 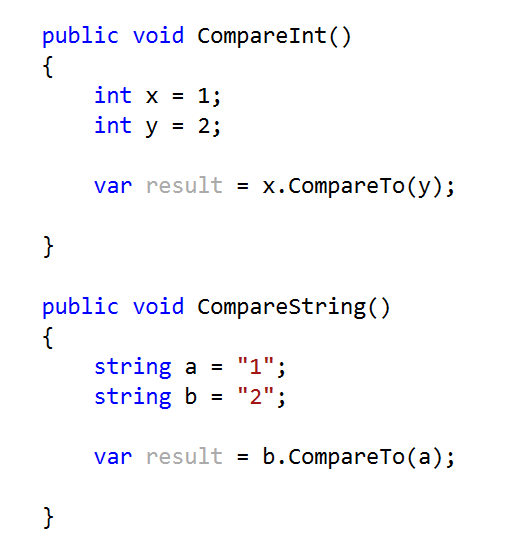 See the sample code below for comparing value types integer and a string type. The CompareTo method has a return value of int. The integer value return will be one of the values less than 0, 0 or greater than zero as what is shown below. Take note that Nullable types like int? 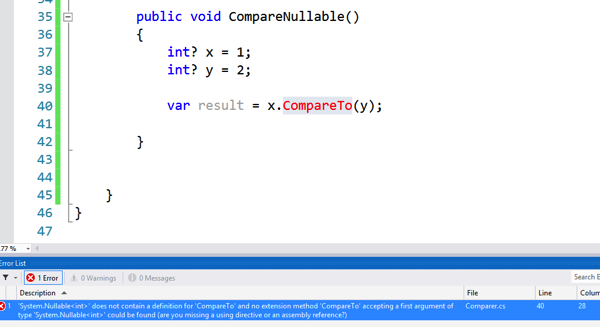 short for Nullable<int> does not implement the CompareTo method. It will not even compile since the method is not implemented. This blog post will serve as a quick reference for me whenever there is a need for me to use sorting or comparison of data when programming. I hope it will serve the same for you.